Russian preacher; lived at Moghilef in the eighteenth and nineteenth centuries. 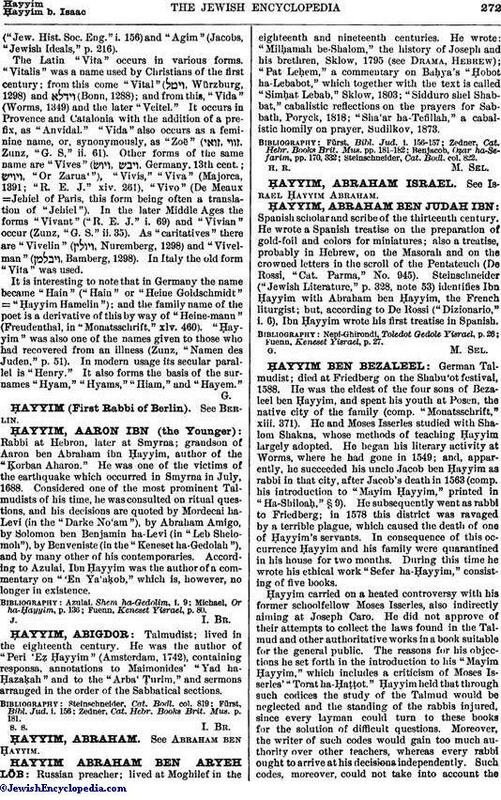 He wrote: "Milḥamah be-Shalom," the history of Joseph and his brethren, Sklow, 1795 (see Drama, Hebrew); "Pat Leḥem," a commentary on Baḥya's "Ḥobot ha-Lebabot," which together with the text is called "Simḥat Lebab," Sklow, 1803; "Sidduro shel Shabbat," cabalistic reflections on the prayers for Sabbath, Poryck, 1818; "Sha'ar ha-Tefillah," a cabalistic homily on prayer, Sudilkov, 1873. Steinschneider, Cat. Bodl. col. 822.